Housing washer and shaft washer have bolt holes for install equally spacer. This kind of bearing has high axial load and radial load, and high tilting rigidity and high precision. 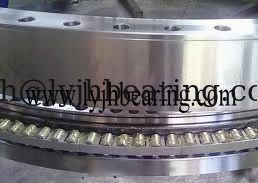 This bearing request higher quality of the parts matches it. You must control screw tightening torque when install it. 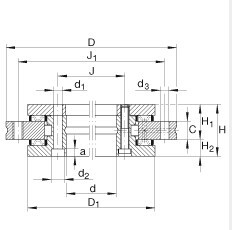 can be used for chuck, measuring instruments and test equipment and rotary table configuration. We will send the more details. Thanks.